We are pleased to share that our AMC Seva app that comes under SmartCity-311 got featured in one of the columns (Bhaskar Classified) in Divya Bhaskar – Ahmedabad’s, a leading newspaper of Gujarat, on 24th March 2017 edition. 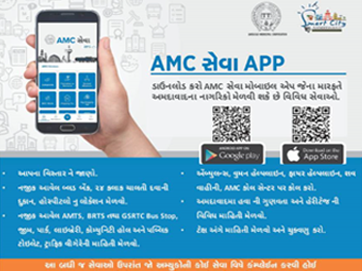 The AMC Seva application is launched with a vision to make available the access of various civic services like making online payments to pay water bills, applying for licenses online and many more. This app also allows the user to report any kind of issues like water logging in the areas, damaged roads, availability of dustbins and many more. Also, this app is to promote cleanliness under the Government’s initiative of “Swachh Bharat Abhiyan”. We couldn’t express our happiness for this gentle gesture covered by Divya Bhaskar.